Annie Colwater's only child has just left home for school abroad. On that same day, her husband of twenty years confesses that he's in love with a younger woman. Alone in the house that is no longer a home, Annie comes to the painful realization that for years she has been slowly disappearing. 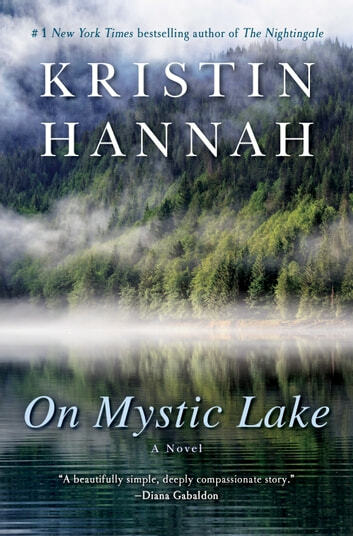 Lonely and afraid, she retreats to Mystic, the small Washington town where she grew up, hoping that there she can reclaim the woman she once was—the woman she is now desperate to become again. In Mystic, she is reunited with her first love, Nick Delacroix, a recent widower unable to cope with his grieving, too-silent six-year-old daughter, Izzie. Together, the three of them begin to heal, and, at last, Annie learns that she can love without losing herself. But just when she has found a second chance at happiness, her life is turned upside down again, and Annie must make a choice no woman should have to make. . . .
Kristin has a way of writing more than one conflict in her stories. She has many characters that weave in and out of the story. She tells a story of a rich woman living in Malibu with her extremely busy adulterous husband who breaks Her heart with the choice to divorce her because of an affair with a junior partner. Annie goes back home to try to pick up the pieces of her life during a 3 month separation. Will Annie make the right choice at the end of the book? Or will she always be the one to give in and go through the paces she has always done for the past twenty years? The author had a good understanding of People's Emotions and how those emotions make people act a certain way. I'd like to see a sequel to Mystic. It would be very interesting to see how these characters progressed. Excellent read. 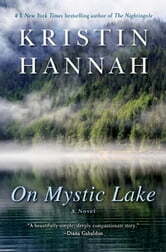 This is a new author for me and so far I have enjoyed the books. This book really hold your interest and keeps you coming back for more. I cant wait to start another one!!! !